Every antenna needs money, because this means better events and better services for members and participants. However, fundraising is an art that not every antenna knows well. The Fundraising European School of AEGEE-Eskişehir and the AEGEE Academy, taking place from 3rd till 10th of April, wants to improve the skills of 20 lucky members. You can be one of them. Tuğçe Fetullahoğlu, main organiser of the event, tells you why you should apply now. GT: What can people learn during the Fundraising European School? 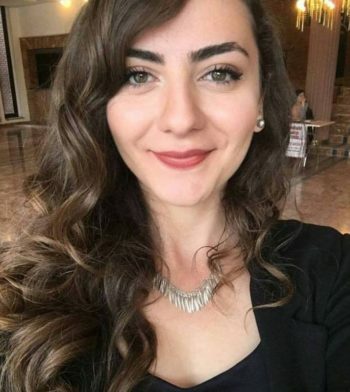 Tuğçe Fetullahoğlu: During the FRES participations we will have some sessions like “Improve you communication skills”, “Formulate a fundraising strategy”, “Elaborate a grant demand” and “Use marketing tools in raising funds”, as well as lots of parts about Erasmus+, corporate FR and financial management. GT: Why did your antenna decide to organise it? Tuğçe: We have members who are really closely related to fundraising. We know that if you want to organise any event you have to know how you can find funds and which step you need to follow. This is why we became the host local. We can strengthen the fundraising skills of our own members and of other AEGEEans as well as members other NGOs. 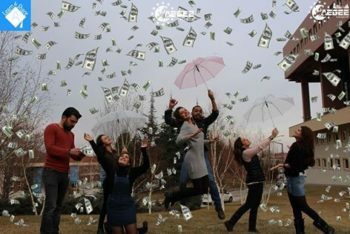 GT: AEGEE-Eskisehir is very good at fundraising. How does it work in your antenna? Tuğçe: We have a really good relationship with the mayor of Eskişehir, with the university and local people. I can say that lots of businesses know us. Of course we do something for them; we advertise them and we go to their places after our meetings. GT: Can you give an examples of recent fundraising successes, maybe even for the FRES? Tuğçe: For instance for the FRES we found accommodation and transportation thanks to our mayor. GT: Who are the trainers? Will there also be trainers from your antenna? Tuğçe: The trainers will be Daria Andreieva from BEST, Vladislav Andrijako from Euroavia, AEGEE Academy Speaker Antonis Triantafyllakis and Réka Salamon, President of AEGEE-Europe. GT: How many participants can come? Tuğçe: We will accept 20 participants who want to have more knowledge about fundraising. GT: Aside from the content, what kind of social activities will you offer during the event? Tuğçe: Of course we have parties and activities like a city tour and aside from the European Night we also have two concept parties, pub crawling and lots of surprises. GT: Can you tell us a few words about AEGEE-Eskisehir? Tuğçe: AEGEE-Eskişehir was established in 2001. We have about 50-60 active members every year. We have working groups and project groups. We are lucky that there are many people, who are willing to work in AEGEE-Eskişehir each year. GT: Is it true that you are the only antenna with a two-day long local Agora? Tuğçe: Yes it is true. We have a two day long local Agora, because we take our business seriously. GT: Where is your city and how can participants travel there? 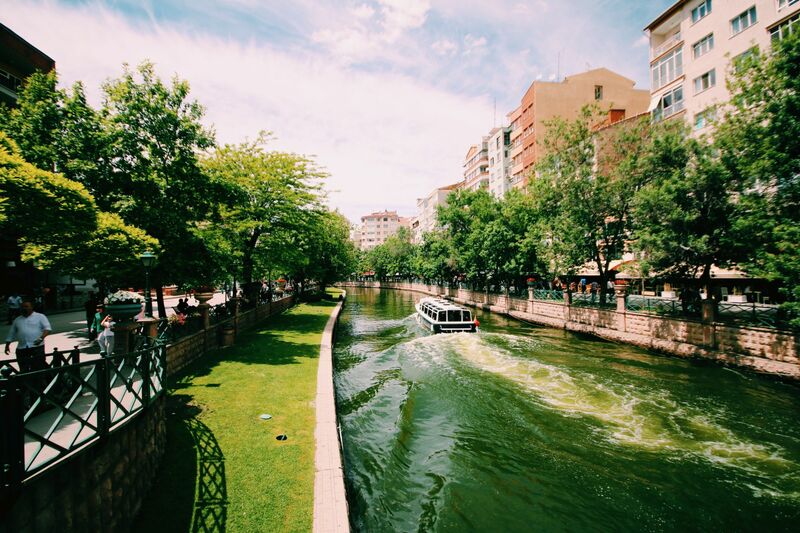 Tuğçe: Eskişehir is a small city with many students. In order to get here, our participants can fly to İstanbul. There are two airport in Istanbul. If your fly to Sabiha Gökçen International Airport (SAW), you can reach our city by high speed train in 2 hours and 30 minutes – for about 12 Euros. If your fly to Atatürk Airport, you can reach our city by bus in six hours for 8 Euros. 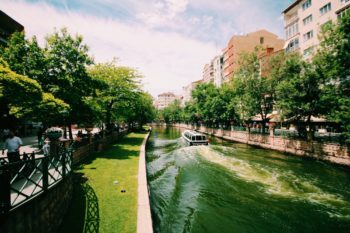 Tuğçe: I would like to say that Eskişehir is an amazing city for young people. They can find a lot of fun here. Also we are organizing amazing sessions and parties, together with the Academy and our trainers. We are very enthusiastic about this event – and we are waiting for you!